I’m lactose-intolerant like so many people of the world. Unfortunately, this means no milkshakes. 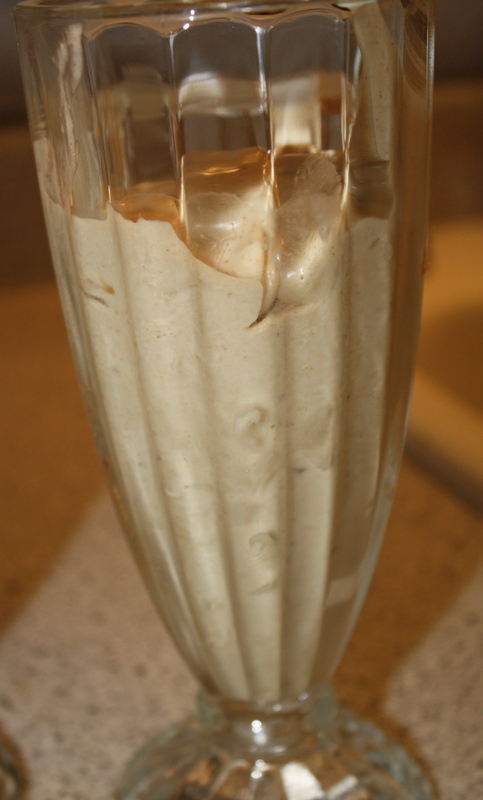 I’ve found ways around other milk products (I use vanilla flavored almond milk with my cereal), but I hadn’t found a good alternative to ice cream to use in milkshakes. My friend Brooke knows about my obsession with peanut butter and bananas, so she told me how she makes milkshakes. What you see in the above picture is literally everything that you need (minus the blender). 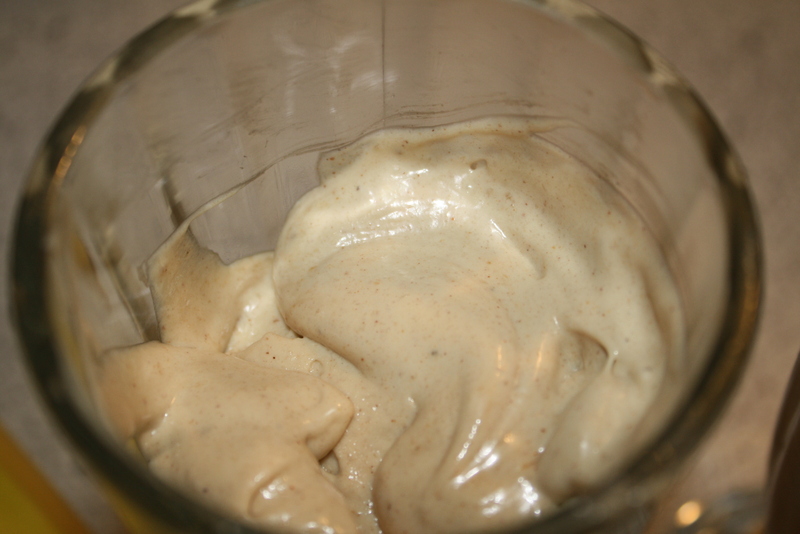 I’d frozen bananas for other uses before, but never to use as the ice cream in a milkshake. When bananas are blended after being frozen, they have a very similar consistency to ice cream. To make these delicious milkshakes, slice up bananas thinly and lay them on a plate in a single layer and pop it in the freezer for a couple of hours. When they are frozen solid, put them in the blender with a gob of peanut butter (no measuring required, just a gob). Blend until milkshake-y. That’s it. If they are too thick, you can add a little milk to thin the consistency (unless you’re lactose intolerant like me!). I am so happy that I learned about these! Such a wonderful and simple dessert. Baker Street has a muffin one on fridays I believe. There are a few others I will try to let you in on when I come across them.